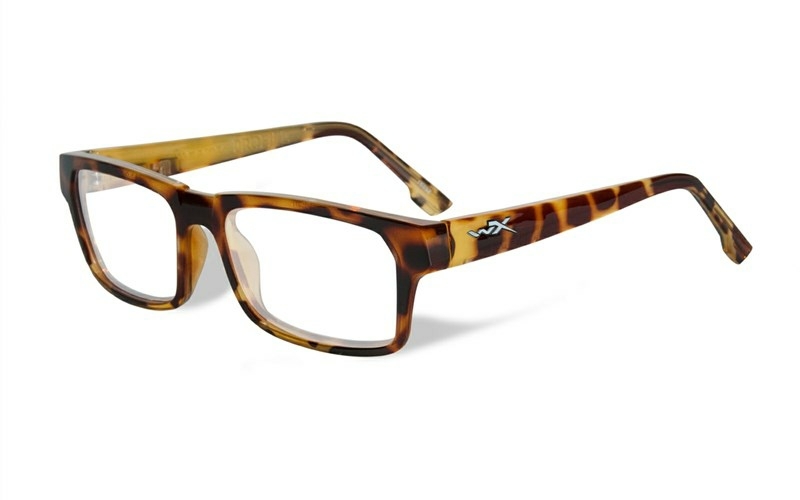 The Wiley X WorkSight™ Profile Gloss Brown Demi frame eyewear is a full-rim fashion frame. The frame is hand polished in durable Triloid™ Nylon. WorkSight™ Profile is available in 4 beautiful fashion color combinations. In order to secure a perfect custom fit, the temples are equipped with an adjustable wire core at the temple tip. The clear side shields come as both removable and permanent. Use the WorkSight™ eyewear as a fashion frame in your spare time, at the office or even change the WorkSight™ into a pair of fashion Safety Glasses by attaching the removable side shields. Get all the features in one frame. Fashion – Function – EN166 rated safety certified.